Ormonde Terrace – once a row of Edwardian houses, now converted into Bauhaus-style flats – sits on the west-side path of Primrose Hill. It is a harmonious and very special part of the Hill which runs behind an avenue of trees. If you pass this way you will notice a brass plaque dedicated to the actor Neville Jason. 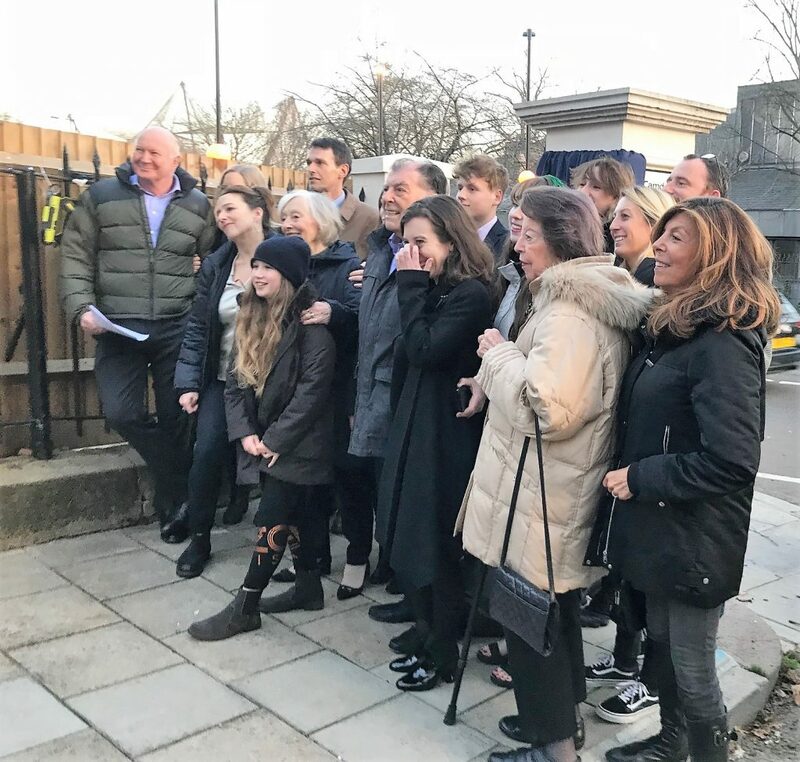 Neville was a very passionate supporter and lover of Primrose Hill, and was responsible for the sensitive restoration of the entrance to Ormonde Terrace, where he lived with his wife Gillian. It was he who persisted with the local authorities to rebuild the wall where Ormonde Terrace joins the main road. Neville died before the restoration works were completed, but the new wall is a perfect testament to Neville’s life and his achievements. On a cold November day many of us gathered by the wall to celebrate Neville’s life. Neville was an actor and renaissance man whose life was dedicated to the British theatre. 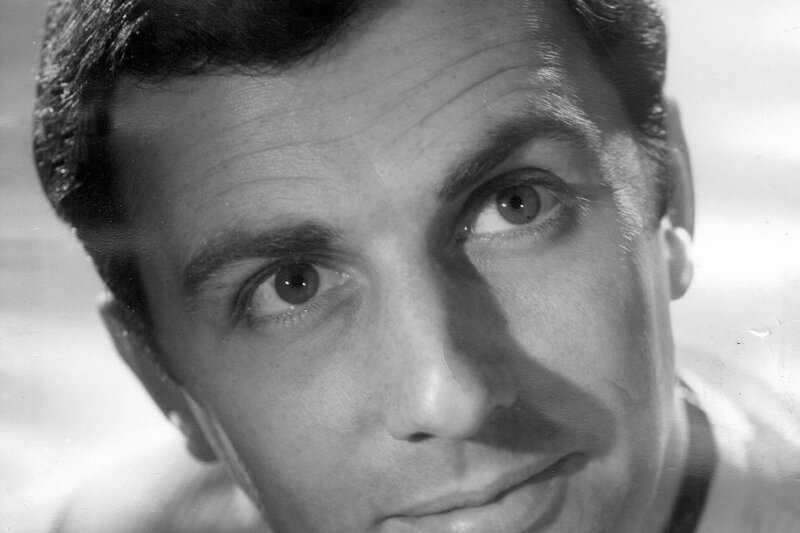 He worked in all the mediums: theatre, radio, television and film. One of his greatest contributions is the outstanding recordings he made reading Tolstoy, as well as the entire works of Proust. They are a beautiful and valuable endowment for students and lovers of Russian literature, as well as a much-needed resource for the Blind Society. Neville and I were students at the Royal Academy of Dramatic Art. He was a very good actor (and handsome). I met him and Gillian at the Royal Opera House in 1965; my husband, Georg Solti, was conducting the controversial production of Schoenberg’s Moses and Aaron in which Gillian and Neville were playing Israelites. They were wonderful friends, always a joy to be with, full of life and new ideas, particularly in the field of the visual arts. Together they created the Gillian Jason Gallery of Contemporary Art, and lived in their beautiful minimalist apartment looking out onto the Hill. Through their window could be seen the branches of a tree inhabited by a family of crows. Mrs Crow would patiently sit on her nest of eggs to produce the generations of crows which are still resident on the Hill, hopping around like smaller versions of the ravens in the Tower. 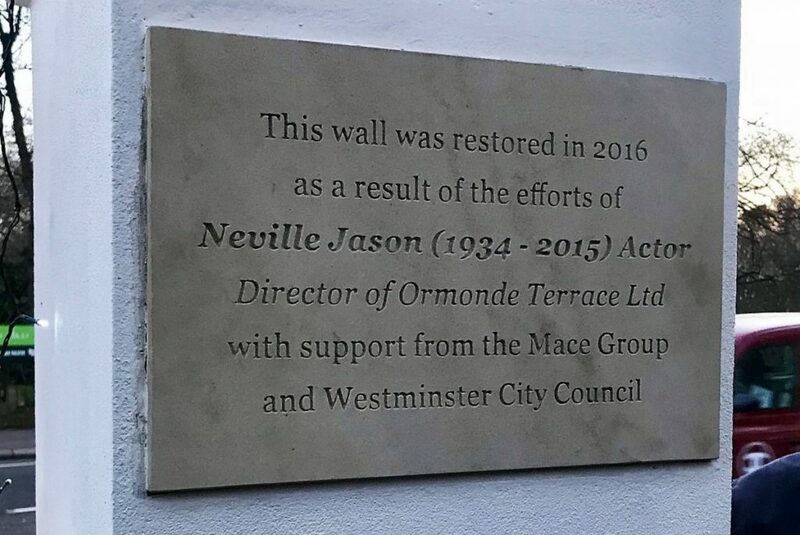 If you are passing the wall, do stop for a moment and look at Neville’s plaque; say thank you for all his efforts to make Primrose Hill the place we all enjoy today. He and Gillian were the most delightful friends, and the best memory of all for me personally is a pale blue corduroy hat which I wear on cold and gloomy days. If you are on the Hill and spot a scatty-looking woman with three dogs wearing a pale blue trilby hat, that’s me in Neville’s hat.